Vital Oxide is EPA registered hospital disinfectant cleaner, mould killer, and super effective odour eliminator. Non-irritating to the skin, and non-corrosive to treated articles. Vital Oxide is certified by NSF International - The Public Health and Safety Company and kills 99.999% of bacteria, including e Coli, Salmonella and Listeria. Proven effective against Methicillin-resistant Staphylococcus aureus (MRSA), Norovirus, Legionella pneumophilia,E. coli and the H1N1 virus (Swine Flu) in testing conducted by certified independent laboratories under GLP conditions submitted to the USEPA. Vital Oxide is a broad-spectrum antimicrobial that performs against a wide variety of bacteria, yeasts, viruses, fungi, spores, moulds, mildews, and other microbes. It is effective at low concentrations, over a wide pH range. Shake before use. Add 2.5-5ml to approx. 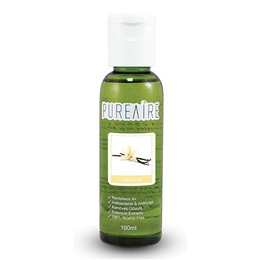 1.5L of clean water in a PureAire Revitaliser. 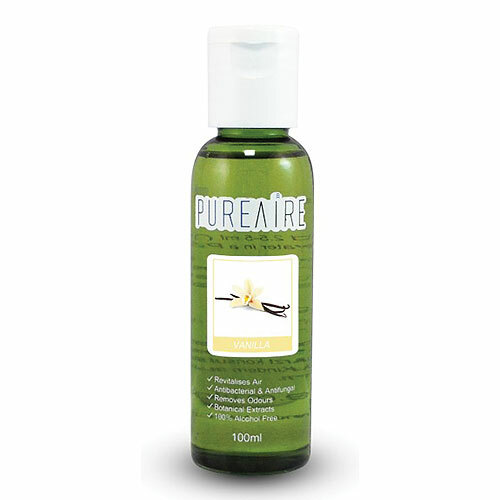 Below are reviews of PureAire Air Purifier Essence Vanilla - 100ml by bodykind customers. If you have tried this product we'd love to hear what you think so please leave a review.